Elizabeth (“Liz”) Winiarski is an associate attorney at Jones Day where she focuses her practice on the representation and counseling of employers in a wide range of labor and employment matters. 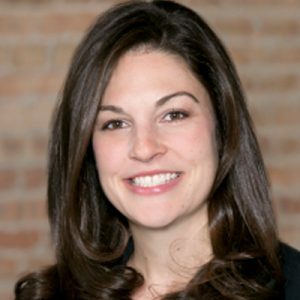 In 2015, Liz was selected as a “Rising Star” by Illinois Super Lawyers, a distinction that is limited to fewer than 2.5 percent of the attorneys in Illinois. Liz has been a Director of the WBAI since 2014. She has co-chaired events such as the Top Women Lawyers in Leadership Reception and the Centennial Gala and Annual Dinner. In addition, Liz has served as co-chair of the Marketing, In-House Lawyers, and Women With Vision Award committees. Outside of work, Liz enjoys traveling, reading, and good food.